Sesame Street is a registered trademark of Sesame Workshop, and the organization’s message is “helping kids grow smarter, stronger and kinder.” The lawsuit claims that the recently released movie trailer goes against the core Sesame Street message with violence, drug use, profane language, and puppets engaging in sexual activity. Sesame claims that the trailer leads consumers to believe that Sesame Workshop has endorsed the movie. Sesame Workshop has now been the victim of social media anger from “appalled viewers” because the viewers mistakenly believe that Sesame Workshop supports the film and has broken their trust. Sesame has put in almost 50 years striving to build and maintain its reputation and trust with the parents of young children everywhere. 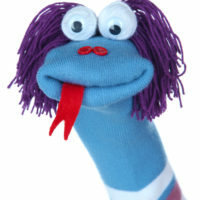 Now with the adult movie trailer centered around puppets going viral, Sesame’s reputation is in jeopardy of being damaged. Sesame Workshop later said, “We take no issue with the creative freedom of the filmmakers and their right to make and promote this movie, rather this is about how our name is being misused to market a film with which we have no association.” Sesame has reached out to STX Productions to request that the Sesame name be removed from the film but were met with a firm no. In the trademark infringement lawsuit, Sesame Workshop seeks to have its name permanently removed from the film’s marketing and that the film should stand on its own.